Polished.Plumage started a monthly color challenge that I decided to participate in. 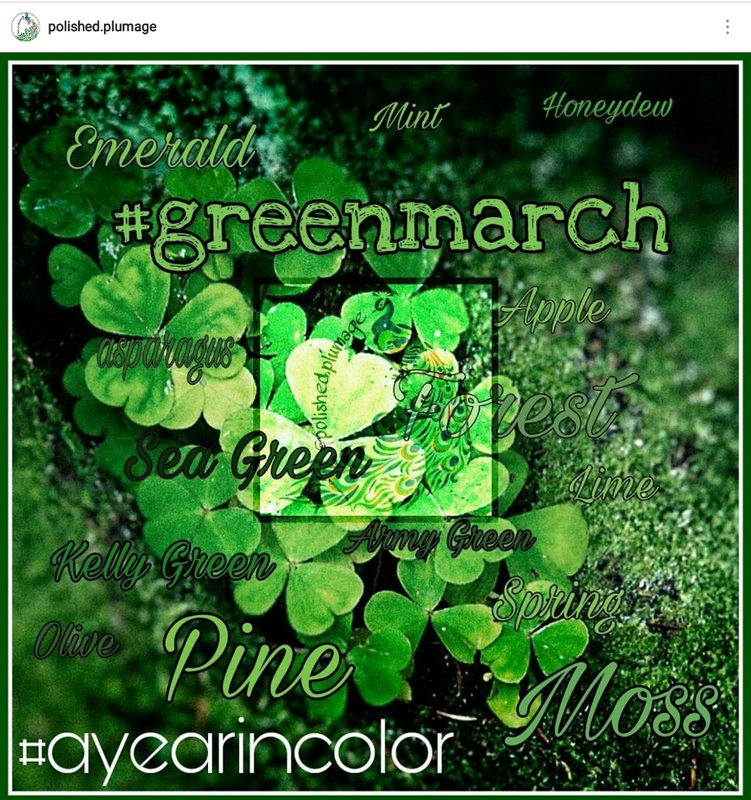 For the month of March, the color theme is green! 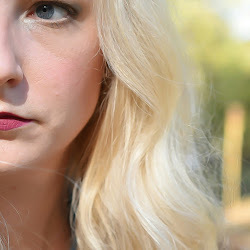 I decided this monthly color challenge will be a great way for me to blog my beauty products since I can just break them down by shade. I'm totally excited for this! For my first #ayearincolor green post, I decided to start with ILNP Lucky One. 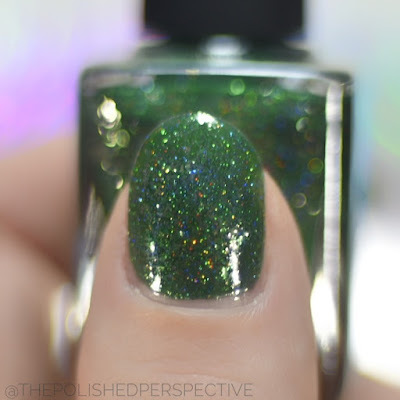 The reason I started with this one is because this is in my top five favorite greens in my collection and because I received it in a Christmas exchange from one of my bestest nail friends. ILNP Lucky One is a beautiful Ultra Metallic pine green with holographic sparkles. I love the formula on this one. My swatch is shown in two coats plus top coat. 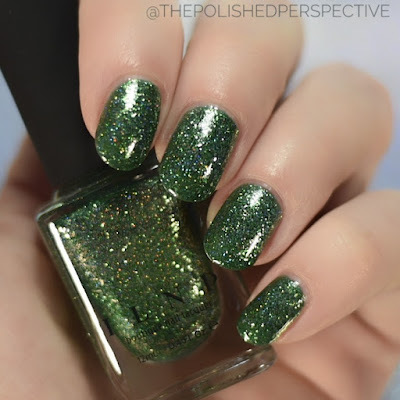 I think this is a great polish to start out the month! 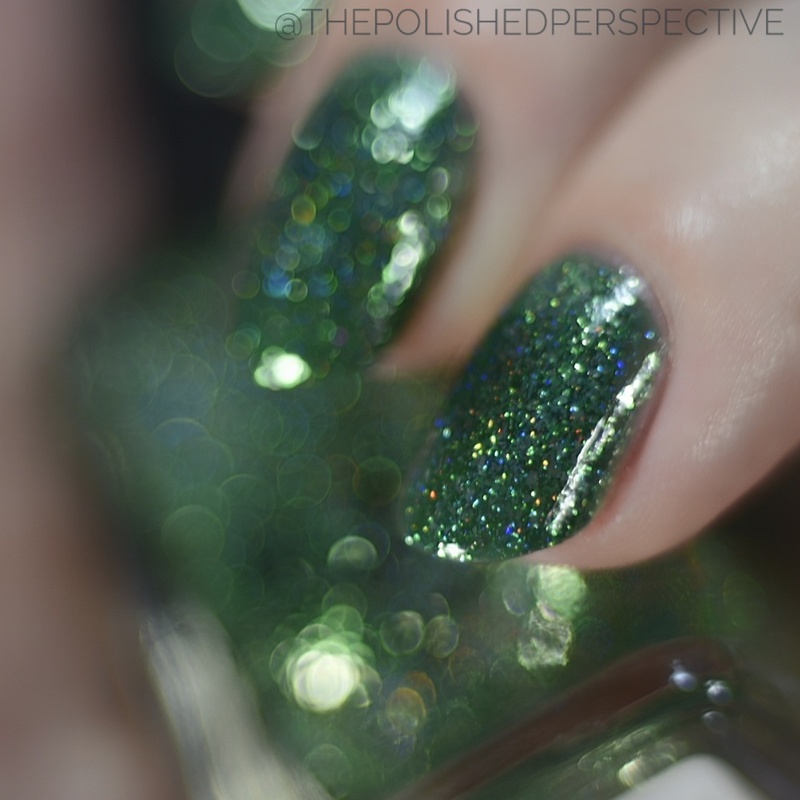 Every Wednesday through the month of March, I will have swatches of my green nail polishes and eye shadows. That's the extent of green in my beauty products. I love March since green is one of my fav polish colors! That's a fun green. I don't own that ILNP, but I think that needs to change. This is stunning!! Definitely needs to go on my wish list.